Bees and other pollinating bugs play a vital role in our ecosystems, as a third of all consumed food is dependent on them. The world has seen a slow but steady decline in number of bees since the 90s due to the widespread use of toxic pesticides, which can’t differentiate between ‘good’ and ‘bad' insects. Climate change has also dealt a devastating blow to the global bee population, as some species don’t cope well with very hot temperatures – they literally overheat. Pollinating by hand is an arduous task which could cost UK farmers over a billion pounds yearly, leading to a huge increase in food costs that are also low quality and filled with chemicals. A spokesperson for GardenBuildingsDirect.co.uk explained: “The role of bees within our eco-system is incredibly important and the worldwide decline we have seen is cause for serious concern. “Every single Brit should do their part, no matter how small, in cultivating the population of our buzzing friends, as without them our ecosystem would literally fall apart. 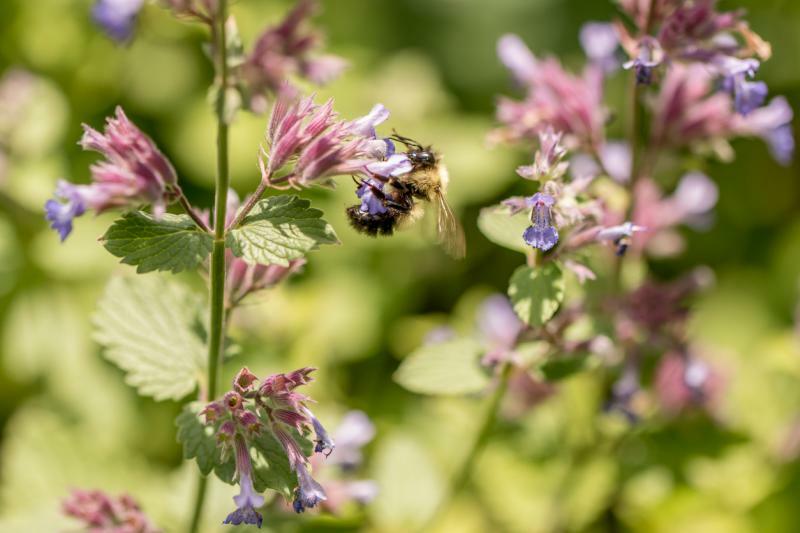 Certain plants are much more likely to attract our bees to the garden, so do some research before you plant to find the perfect match. Lavender, oregano and basil all produce lots of nectar and will be covered in happy, hungry bees. The majority of insects are not harmful and there is no place for industrial chemicals in the garden, as some pesticides will remain embedded into the soil affecting other wildlife in the long term. Green fingered Brits should always be wary of using the toxins even for casual use unless absolutely necessary. Only purchase raw and locally made honey. This will encourage those producing honey to shift their focus and energy towards ensuring that honey is produced ethically. Weeds can be a nuisance however they do have their purpose. Plants such as dandelions are a brilliant source of food for bees, especially in early spring as there is only a limited range of sources available. Even those with limited space can do their part by installing a small water basin for bees to satisfy thirst during the heights of summer. Just remember to add a couple of stones and floating objects such as a cork so the bees don’t drown. For Brits who really want to invest in saving bees, they could look at picking up a new hobby – beekeeping. Do plenty of research and ensure preparation is done beforehand. Give bees a home and produce organic and locally made honey for all to enjoy.